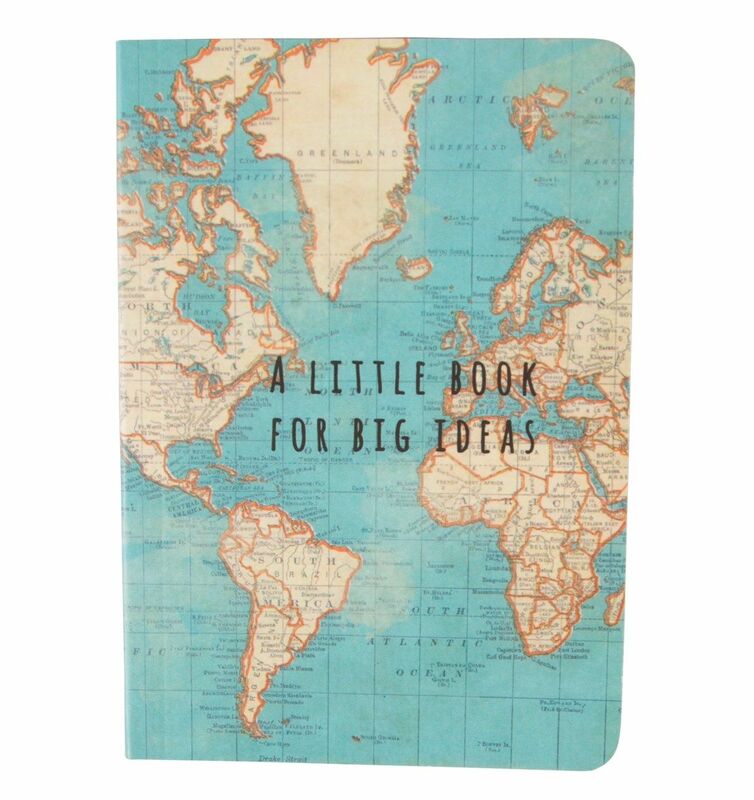 'A little book for big ideas'. 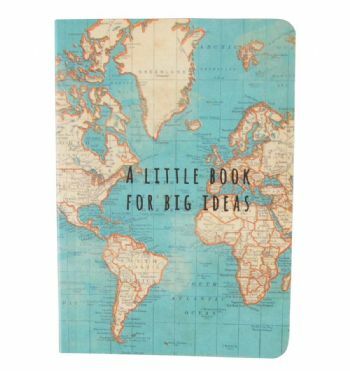 It has approx 35 blank pages and is rounded at the edges. 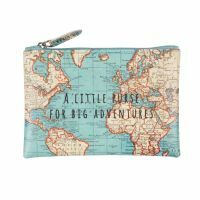 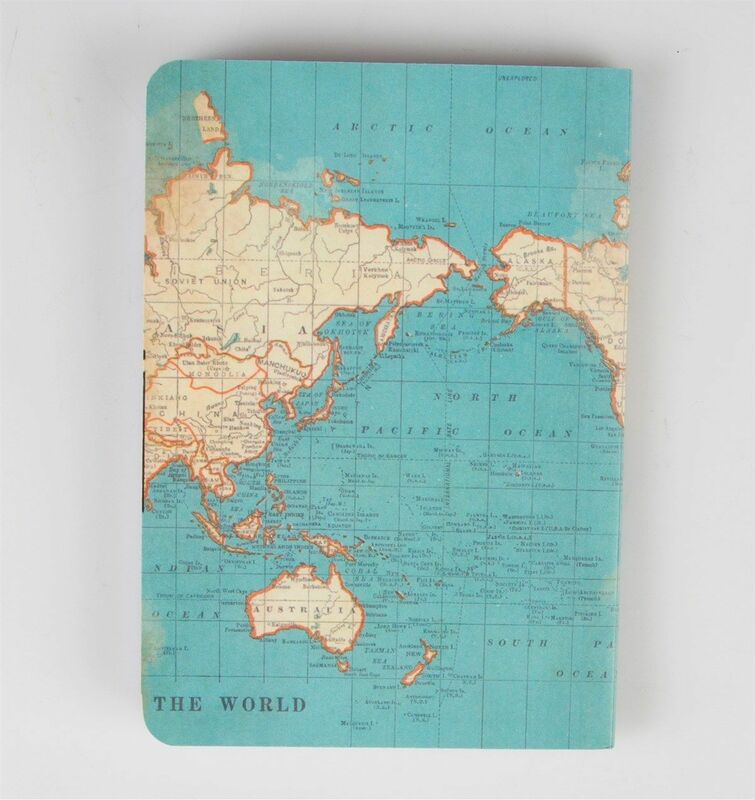 A great little gift for any one who just loves to travel!